Travel to Corfu Paleokastritsa. 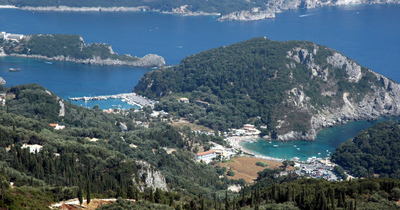 Great value holidays in Paleokastritsa, apartments and studios in Paleokastritsa, hotels and villas. You can take one of the small boats for a trip around the sea cliffs and caves to experience the coast from a different point of view. You can rent a paddle boat or a canoe for a slow sail around. Paleokastritsa is also one of the best spots in Corfu, and one of the best in Greece.